John Penn was born on May 17, 1741, in Caroline County, Virginia. He was the only child of Moses Penn, a moderately successful plantation owner, and Catherine Taylor Penn. He was educated at home with only a few years of formal schooling, although his parents could well afford to pay for his tuition. Penn was distant relative of William Penn, founder of Pennsylvania. Moses Penn died in 1759, and John inherited an ample estate, but he was dissatisfied with the prospects it offered, and decided to continue his education. He began to study law under his cousin and neighbor, Edmund Pendleton, a lawyer, a Patriot, and one of the most accomplished statesmen of Virginia. Pendleton gave young Penn access to his library, which was one of the best in the province. Penn studied diligently, and remarkably passed the Virginia bar exam at the age of twenty-one, after which he practiced law in Caroline County for twelve years. He quickly became noticed, and soon equaled the most distinguished at the bar. As an advocate, there were few who surpassed him. On July 28, 1763, John Penn married Susannah Lyme of Granville County, North Carolina, and they had three children. In 1774, Penn moved to North Carolina with his wife and children, and settled in Williamsboro, Granville County, where he set up a law practice. There, he displayed great ability and eloquence, and his practice flourished, as did his interest in politics. In 1775, Penn was elected to the Third Provincial Congress, which met at Hillsborough, NC. Shortly thereafter, he was elected to succeed Richard Caswell as delegate to the Continental Congress, taking his seat on October 12. Penn, though very talkative in private, rarely spoke in the Congress, but he was very diligent in public business. Elizabeth Bassett was born on December 13, 1730, at Eltham, the family estate in New Kent County, Virginia. She was the daughter of William Bassett and a niece of Martha Washington. Elizabeth’s great-grandfather, William Bassett, came to America from Newport on the Isle of Wight and settled in Blissland in New Kent County, Virginia, where he died in 1671. 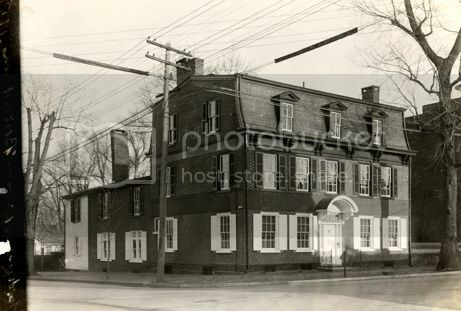 Benjamin Harrison V was born on April 5, 1726, at Berkeley Plantation, the family estate in Charles City County, Virginia, which is beautifully situated on the banks of the James River overlooking Petersburg and Richmond. He was the eldest son of ten children born to Benjamin Harrison IV and Anne Carter Harrison, one of the most prominent planter families in the South; he was the fifth in a line of politicians bearing the same name. Benjamin’s mother, Anne Carter Harrison, was the daughter of Robert “King” Carter, whose family, like the Harrisons, was a force in Virginia and national politics. He served for many years as treasurer of the Colony and member of the King’s Council, and was a wealthy and influential member of the Virginia aristocracy and owned over 300,000 acres and a thousand slaves. Benjamin V was a student in the College of William and Mary when his father and two sisters were killed by lightning during a thunderstorm at Berkeley on July 12, 1745. At age 19, he returned home and took over the management of Berkeley’s 1,000 acre operations, including ship building and horse breeding. Although he was considered young to be entrusted with such duties, he displayed good judgment in his responsibilities. In time, Harrison’s landholdings grew to include eight plantations and other properties. Dorothy Camber was born 1754 in Chatham County, Georgia, the daughter of Dorothy and Thomas Camber, who came to America from East Essex, England. She had two sisters and three brothers. The crown had given large tracts of land in the Colony of Georgia to her father. George Walton was born in December 1749 in Farmville, Cumberland County, Virginia, the fourth child of Robert Walton and Mary Hughes. George’s father died within a few months of his birth, and his mother died before he was seven. He was raised by his uncle, also named George Walton, of Prince Edward County, Virginia, who oversaw his education and welfare until he was apprenticed to a carpenter at the age of fifteen. George Walton was entirely self-taught; his employer would not permit him the use of a candle to read at night, so Walton burned pine knots to read by. When his master realized that his young student had other talents worth pursuing, he released Walton from his contract. In 1769, George Walton moved to Savannah, Georgia, and studied law in the office of Henry Yonge, Jr. In 1774, Walton was admitted to the bar, and took the oath of allegiance to the king that was required before an attorney was allowed to practice law in the colony. His older brother John had established himself in Augusta, Georgia; George joined him there, and within two years, built one of the most successful legal practices in Georgia. In the years leading to independence, Georgia was largely loyal to the British crown. It was the youngest colony and sparsely populated. But Walton zealously supported independence from England, and did not hesitate to make his feelings known in business and social circles. George Walton became heavily involved with the patriot movement in Georgia in 1774. He was one of four people who called a public meeting at Tondee’s Tavern in Savannah on July 27, 1774. The group called for a Provincial Congress of delegates from each parish in Georgia to address how to protect their eroding civil liberties. Walton was appointed to the committee that created the Committee of Correspondence in order to spread news quickly to patriots around the province, and to correspond with patriotic individuals in other colonies. The royal governor and his council condemned the activities of the Provincial Congress, and when they met again on January 12, 1775, many members were still hesitant, and voted to send a letter asking for a redress of grievances to the British monarch, instead of taking the stronger advice from Walton and other patriots advocating separation from Britain. Walton openly urged independence. Georgia was the only colony that had not sent delegates to the Continental Congress. Walton was appointed Secretary of the Provincial Congress, and was made a member of the Committee of Safety that ran the provincial government’s affairs when the congress was not sitting. He soon became the president of this committee, making him essentially the governor of the provincial legislature. 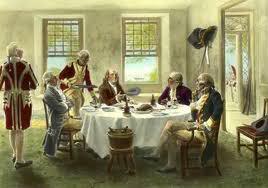 John Ward Dunsmore painting of the 1776 meeting between British Admiral Richard Howe and the American Commissioners: Benjamin Franklin, John Adams and Edward Rutledge. Henrietta Middleton was born on November 15, 1750, at Charleston, South Carolina. Henrietta was the daughter of Henry Middleton, the second president of First Continental Congress, and the sister of Arthur Middleton, a signer of the Declaration of Independence. After acquiring a classical education, Edward studied law with his older brother John, who guided him in his career as a lawyer. In 1769, Rutledge was entered as a student at the Temple, a prestigious school in London, England. He attended the courts of law and the houses of parliament for four years, and listened to some of the most distinguished orators of the day, in court and in Parliament. Rutledge returned to Charleston in 1773 and built a successful law practice with his partner, Charles Cotesworth Pinckney. Edward’s mother, Sarah Hext Rutledge, gave him a 640-acre plantation in Saint Helena Parish that she had inherited from her father, and thus enabled him to meet the property qualification for election to the Commons House of Assembly. During his first year of practice, Rutledge won Whig acclaim by obtaining the release of newspaper publisher Thomas Powell, who had been imprisoned by the Crown for printing an article critical of the Loyalist upper house of the colonial legislature. On March 1, 1774, Edward Rutledge married Henrietta Middleton, and subsequently built a home in Charleston across the street from the house of his brothers, John and Hugh. Henrietta gave birth to three children, two of whom survived to adulthood: Henry Middleton Rutledge and Sarah Middleton Rutledge. Ann Thompson was born on August 12, 1763, and was educated in Europe. She was the daughter of Catharine (Walton) and James Thompson, a wealthy New York mechant from an old and highly honored family. Ann’s grandfather, Jacob Walton, first married Maria Beekman and later Polly Cruger. Both wives were members of distinguished colonial families in New York. 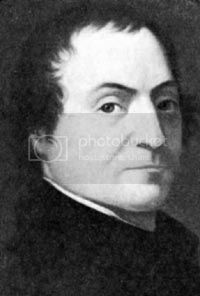 Elbridge Thomas Gerry was born in Marblehead, Massachusetts, on July 17, 1744, the third of Thomas and Elizabeth Greenleaf Gerry’s eleven/twelve children. A former ship’s captain who emigrated from England in 1730, Thomas Gerry was a pillar of the Marblehead community, serving as a justice of the peace and selectman and as moderator of the town meeting. The family was prosperous, thanks to a thriving mercantile and shipping business and an inheritance from Elizabeth Gerry’s side of the family. Gerry had planned to become a physician, but soon after graduating from Harvard in 1762, Gerry joined his father and two brothers in the family business, exporting dried codfish to Barbados and Spain. In the process, he carved out a considerable fortune for himself as a merchant, and eventually became one of the wealthiest merchants in Marblehead. A thriving port and commercial center, Marblehead was a hotbed of anti-British activity during the 1760s and 1770s. Elbridge Gerry joined a Marblehead social group that became increasingly political as Massachusetts felt the impact of Britain’s restrictive policies toward the American colonies. In 1770, he served on the local Committee of Inspection to enforce the boycott of the Townshend Acts, and two years later, he helped Samuel Adams in setting up Committees of Correspondence. With John and Samuel Adams, Gerry made up the patriot triumvirate in the Massachusetts Bay Colony. Gerry was elected to the Massachusetts General Court in May 1772, and later to its successor, the Provincial Congress, serving as chairman of the committee on supplies during the fall and winter of 1774-1775. There he met Samuel Adams, with whom he immediately bonded. Gerry used his procurement skills as a shipping merchant to help the colonists in their revolt against England’s King George III. Historian Mercy Otis Warren later recalled that Gerry coordinated the procurement and distribution of arms and provisions with “punctuality and indefatigable industry,” an effort he would continue while serving in the Continental Congress. Mary Trumbull was born on July 16, 1745, in Lebanon, Connecticut, the second daughter of Jonathan Trumbull, Royal Governor of Connecticut, who was the only Colonial governor to remain true to the cause of the Colonies. He served as governor in both a pre-Revolutionary colony and a post-Revolutionary state, and patriots from all parts of New England came to consult with him and lay plans for future action. Trumbull was in constant correspondence with Samuel Adams and other patriots of Massachusetts, and the confidant and adviser of General Washington. Mary Trumbull was also the sister of patriots Jonathan, Jr. and Joseph Trumbull and of the painter John Trumbull, daughter of Connecticut governor Jonathan Trumbull, (Sr.), and great-great-great-granddaughter of John Alden and Priscilla Mullins, was also a third cousin once removed of Patriots John Adams and Oliver Wolcott. Sarah Cobb was born on May 15, 1744, in Taunton, Massachusetts, where her father, Captain Thomas Cobb, was a prominent citizen, magistrate, and member of the legislature. Her mother was Lydia Leonard, whose father and grandfather were both called Captain James Leonard, had been prominent in the early history of Bristol County. Her brother, General David Cobb, served all through the Revolution, three years of that time as an aide on the staff of George Washington. Sarah’s early life and education were similar to that of other daughters of well-to-do citizens of the commonwealth. 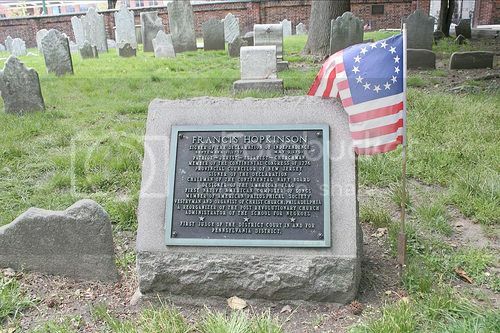 Robert Treat Paine was born in Boston on March 11, 1731, the son of Reverend Thomas Paine and Eunice Treat Paine. He could trace his ancestry back to a colonial governor, an acting president of Harvard, and a signer of the Mayflower Compact. His father, Thomas, was pastor of a church in Weymouth for several years, but because of impaired health, resigned and engaged in mercantile pursuits in Boston. 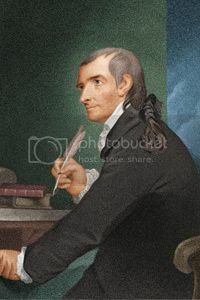 A bright, well-bred, popular youngster, Robert Treat Paine studied for seven years at the Latin School, then went on to Harvard College. While still a student at Harvard, his father’s business failed; upon graduation in 1749 at the age of eighteen, Paine had to teach in a country village – instead of running the family business as he had expected. He gave up teaching after one school term, and served as Chaplain of the military expedition to Crown Point in 1755. Because of frail health, Paine set out to build up his strength by working on the sea. He spent some years as a merchant marine visiting the southern colonies, Spain, the Azores, and England. About this time, he decided to forsake the ministry for the law, in which he had become interested during his theological studies. When he returned home in 1754, he began to study law in the office of Benjamin Pratt, later Chief Justice of the Colony of New York. Paine was admitted to the bar in 1757, two months after his twenty-sixth birthday. That same week his father died, passing on to his son the remains of a still-failing business. Paine first set up office in Portland, Maine (then part of Massachusetts), but in 1761 relocated to Taunton, Massachusetts, where he practiced law for many years. In the 1760s, Paine was active in the resistance movement to the hated Stamp Act and Townshend Acts, and quickly became a patriot for the cause of independence. In 1768, he was a delegate to the provincial convention which was called to meet in Boston after the dissolution of the general court by Sir Francis Bernard, Royal Governor of Massachusetts.